Lonely Planet Barcelona (Travel Guide), 11th Edition is your passport to the most relevant, up-to-date advice on what to see and skip, and what hidden discoveries await you. Savour the best of New Catalan cuisine, yell for your team at Camp Nou stadium, and crane your neck at the weird and wonderful architecture of La Sagrada Familia – all with your trusted travel companion. 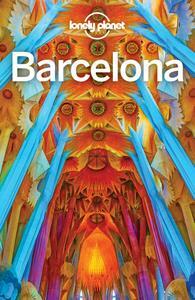 Get to the heart of Barcelona and begin your journey now! The Perfect Choice: Lonely Planet’s Barcelona is our most comprehensive guide to the city, and is perfect for discovering both popular and offbeat experiences.